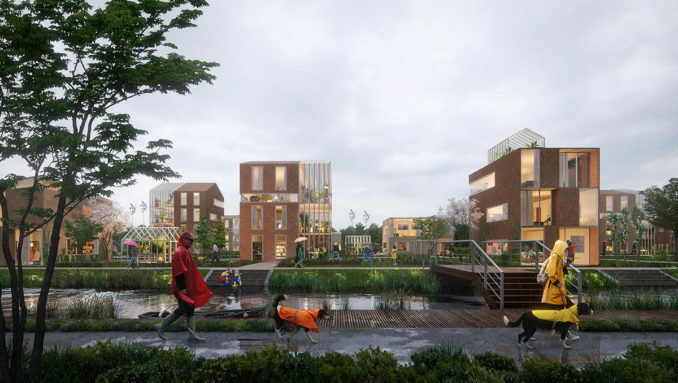 Felixx Landscape Architects & Planners joined the UNStudio team to design Brainport Smart District in Helmond, the Netherlands. 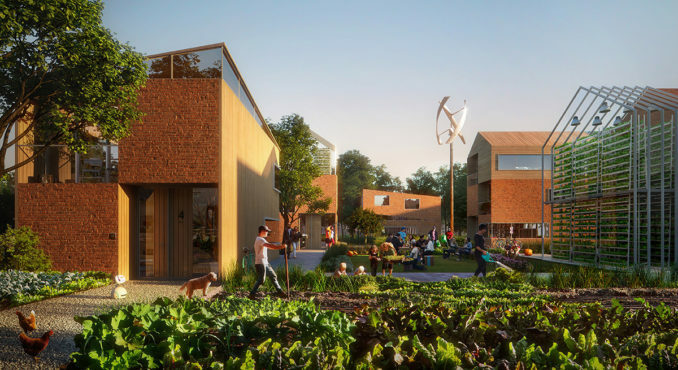 BSD will be a ‘living lab’: a mixed residential neighborhood organised around a central park and surrounded by business spaces and nature reserves. The district aims to develop a new relationship between buildings and landscape, whereby both strengthen each other qualitatively. The landscape is used as a productive environment for food, energy, water, waste processing, and biodiversity. In July 2018 UNStudio was selected to put together a team in order to translate the ideas for the Brainport Smart District into a spatial plan. 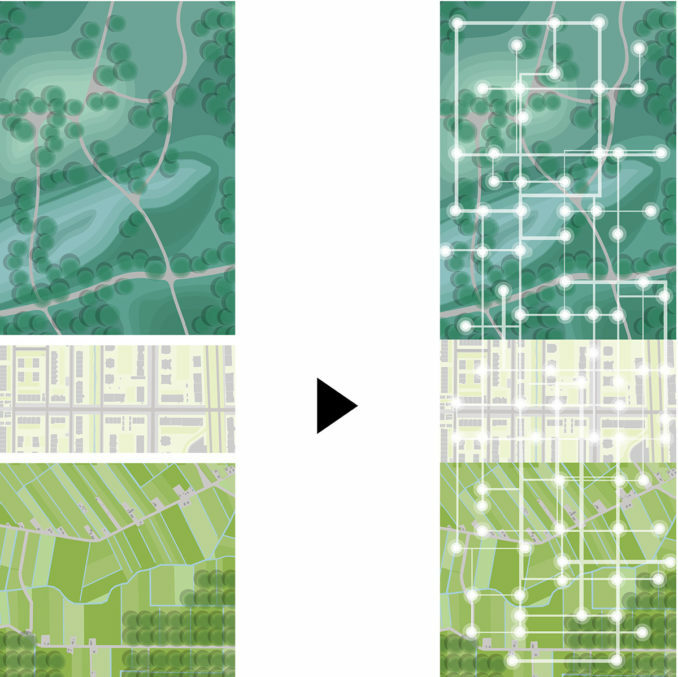 The resulting urban vision was created in a collaboration between UNStudio (project lead and urban planning) and Felixx Landscape Architects & Planners (ecology and landscape), Metabolic (Circularity and climate adaptation), Habidatum (data analysis) and UNSense (Data and technology strategy). Over the next ten years the Brainport Smart District will develop 1,500 new homes and 12 hectares of business premises. 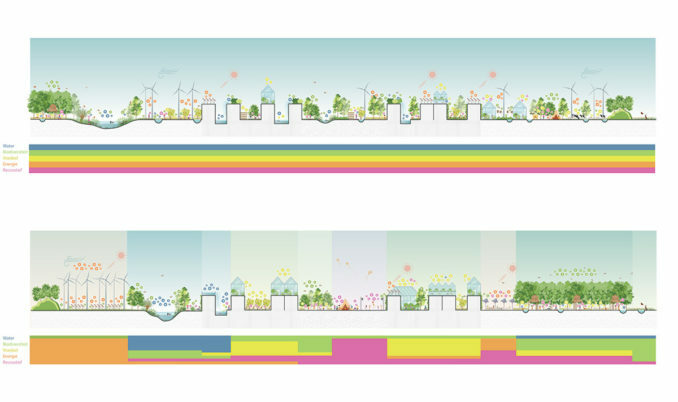 The development will be characterised by the application of the latest technologies and knowledge in order to achieve a sustainable, circular and socially cohesive neighbourhood that enjoys joint energy generation, food production, water management, joint digital data management, and revolutionary transport systems. 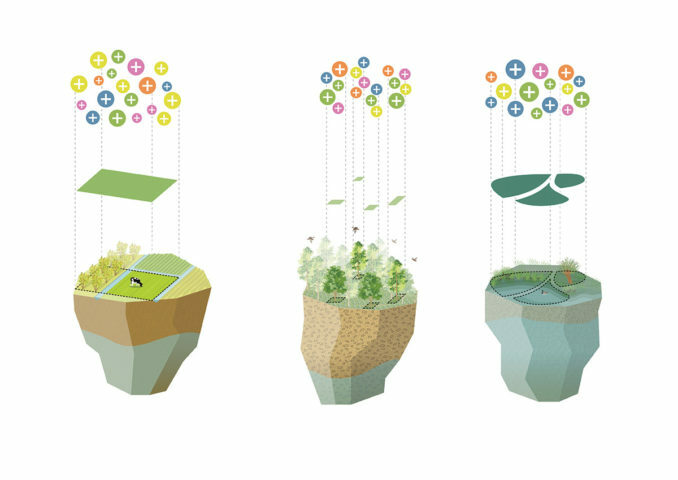 All of these facets will contribute to the creation of a sustainable and unique living environment. The current landscape has historically grown into a rich mosaic, of forests, moors, villages and wetland areas. They are functioning as individual worlds within a shared layout, but are missing the opportunity to be turned into collaborative environment and harness synergies. 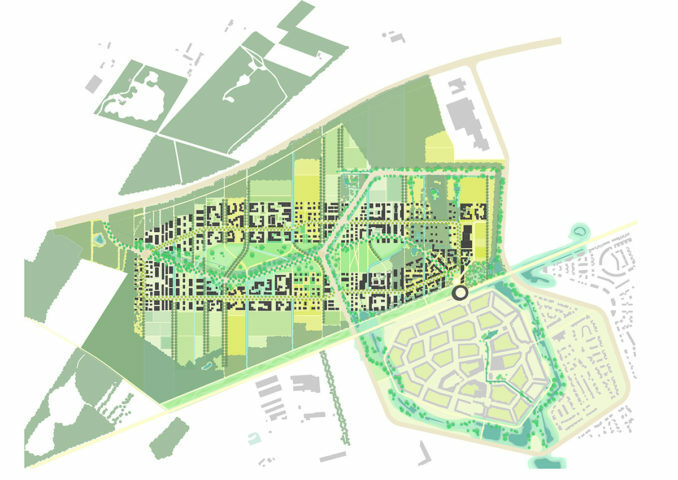 Therefore, Brainport Smart District is committed to generate a new hybrid landscape, that merges urban, nature and agriculture grounds. 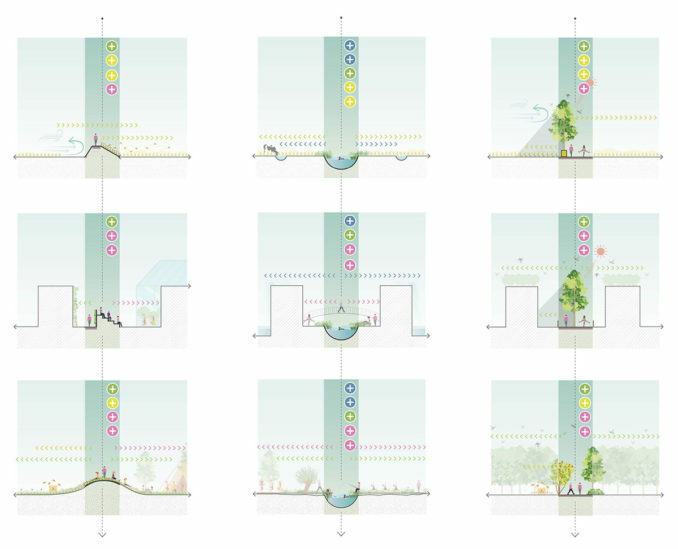 Felixx developed 4 spatial frameworks to organize this landscape of the future. The ‘Hybrid Landscape’ builds on the historical mosaic tiles of the existing landscape. 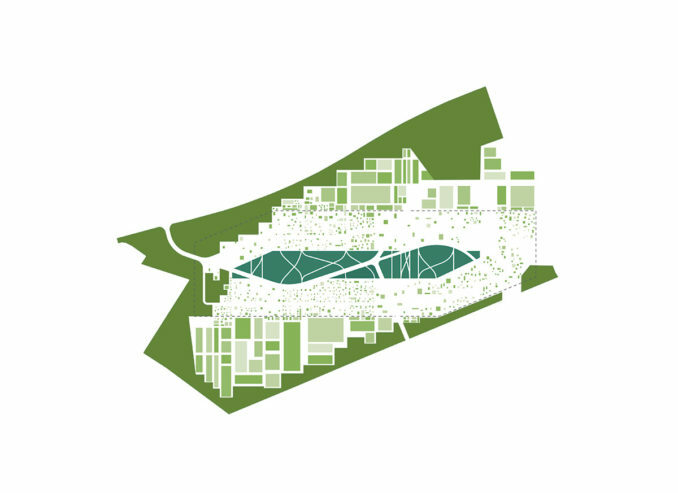 BSD is planned as a residential neighborhood, organized around a central park and surrounded by rural grounds. 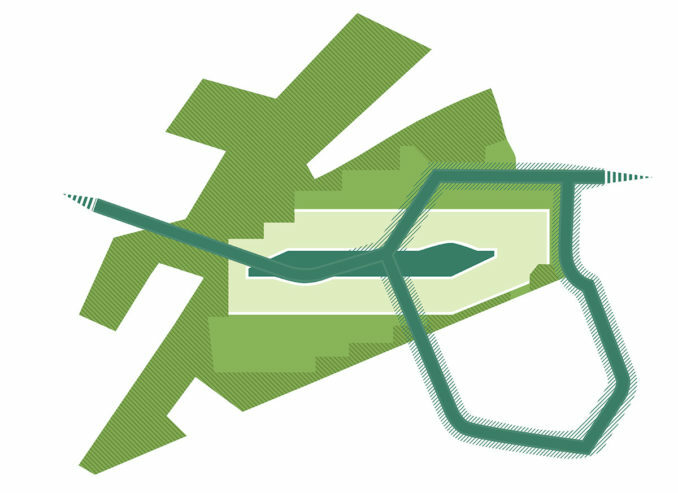 This layout is defined by the characteristics of the site, and the potential to contribute to regional networks. each environment. Each plot combines a productive role in food and energy production, water management, waste processing and biodiversity generation. The organization of the production landscape creates new partnerships and social networks within BSD. The plots are organized into a series of strips (from north to south) that demarcates the district into ten parts. 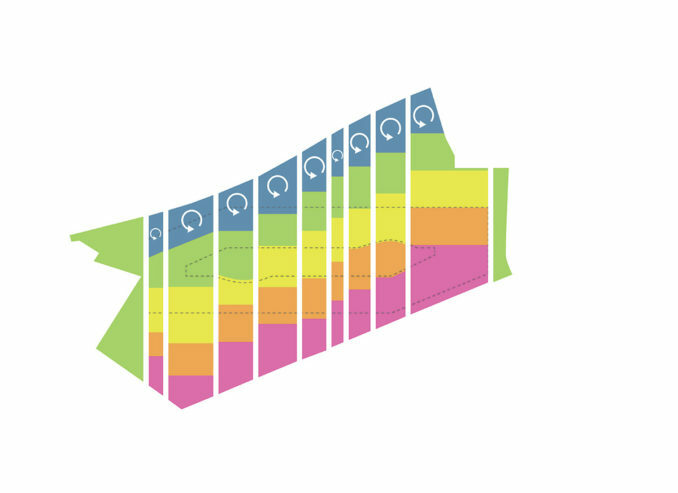 Within each strip production and consumption streams are closed. Residents are encouraged to adopt communal resource schemes such as shared energy generation and land cultivation. 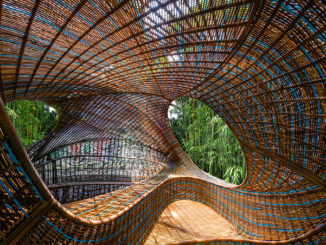 The ‘Hybrid Landscape’ performs as a connected realm. 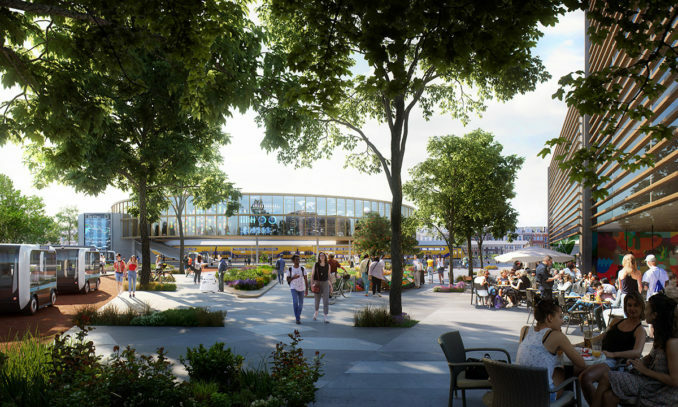 New linear landscape structures will frame the different plots, while connecting the outer rural grounds with the central park and the urban settlements. 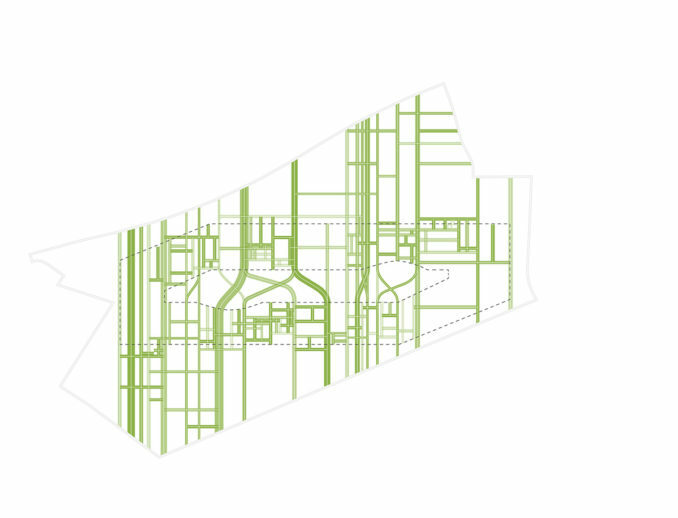 As a conditioning framework, these ‘landscape-lines’ contribute to the functioning of the plots they frame. They add to the fertility and water management of agricultural land, provide shade and water infiltration possibilities in built-up areas, or combine ecological values with recreational use in the park. They integrate an amazing slow traffic network for visitors and residents. Stichting Brainport Smart District is a joint venture between the Technische Universiteit Eindhoven, Universiteit van Tilburg, provincie Noord-Brabant, gemeente Helmond and Brainport Development.